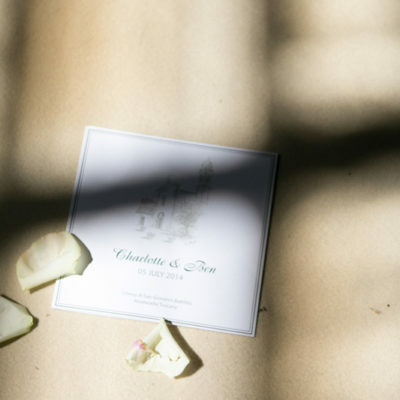 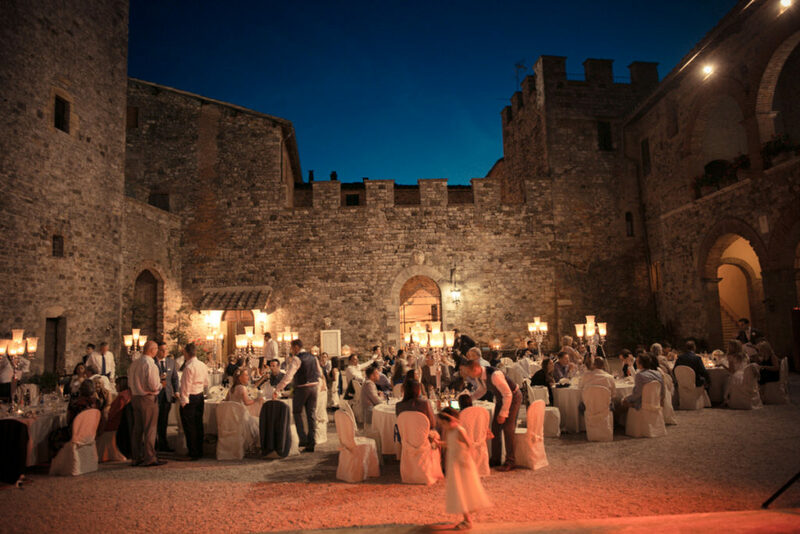 Ben and Charlotte wanted a Castle for their special wedding, and this castle was perfect for them as there were more than 80 places of bed to accommodate all their guests coming from all over the world. 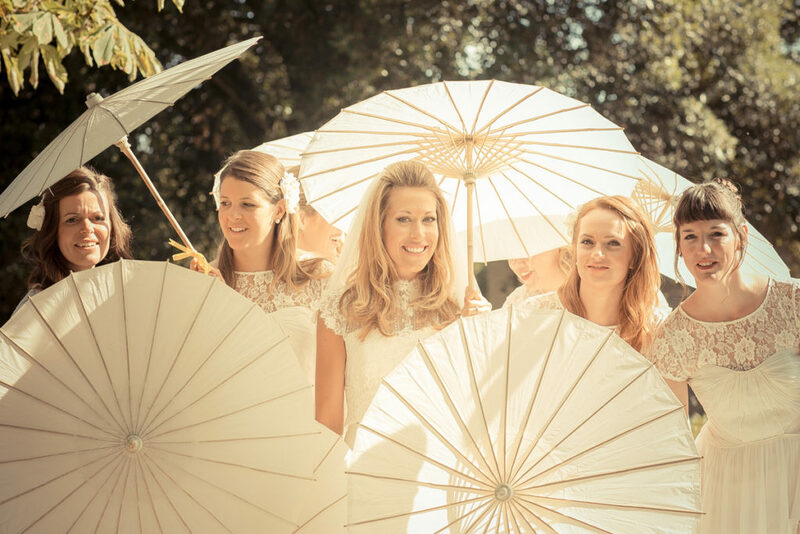 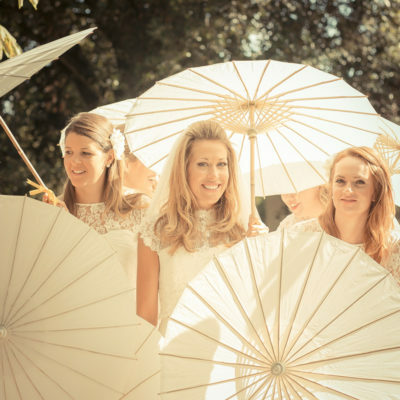 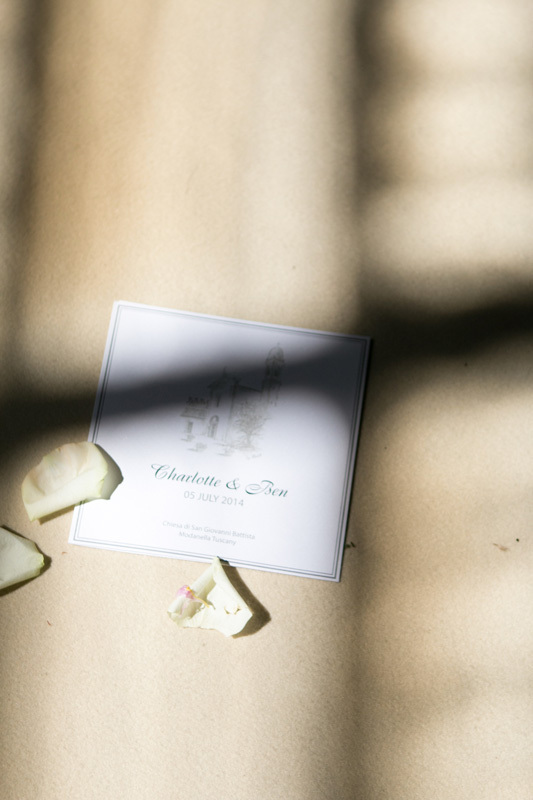 Ben and Charlotte lived in Hong Kong moving from London so they wanted to gather all their friends and family for their special day. 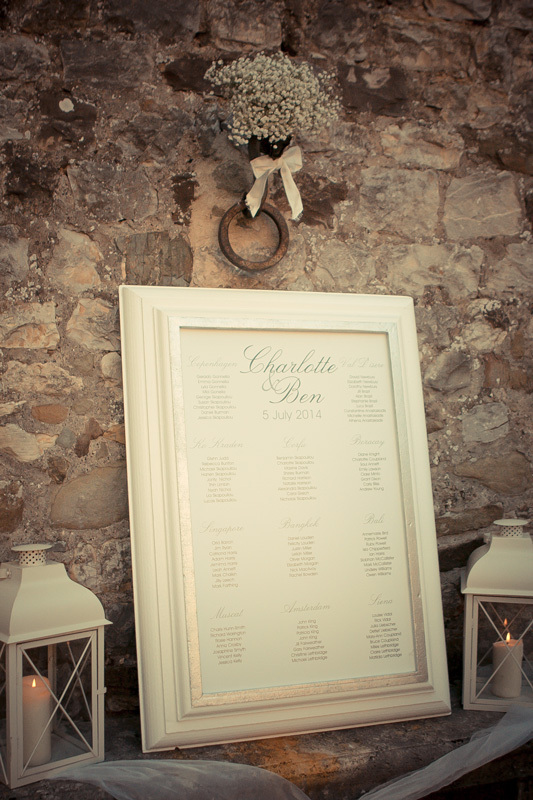 Charlotte wanted a full white flowers, for the catholic ceremony held in the fantastic Castle’s chapel and for the reception. 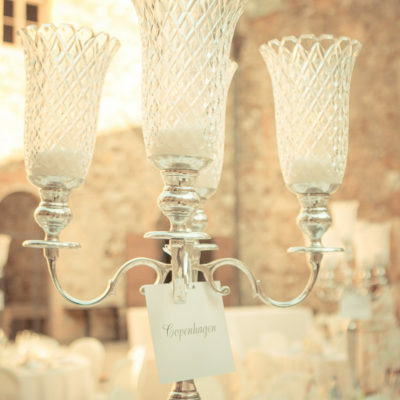 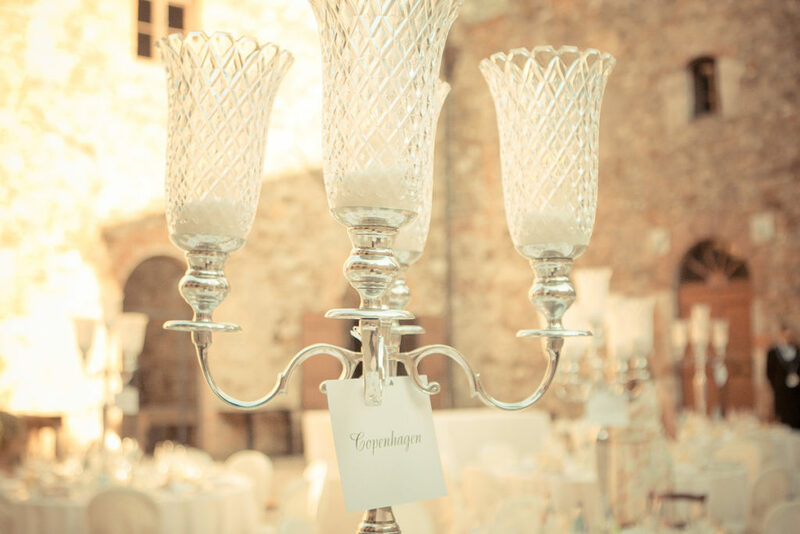 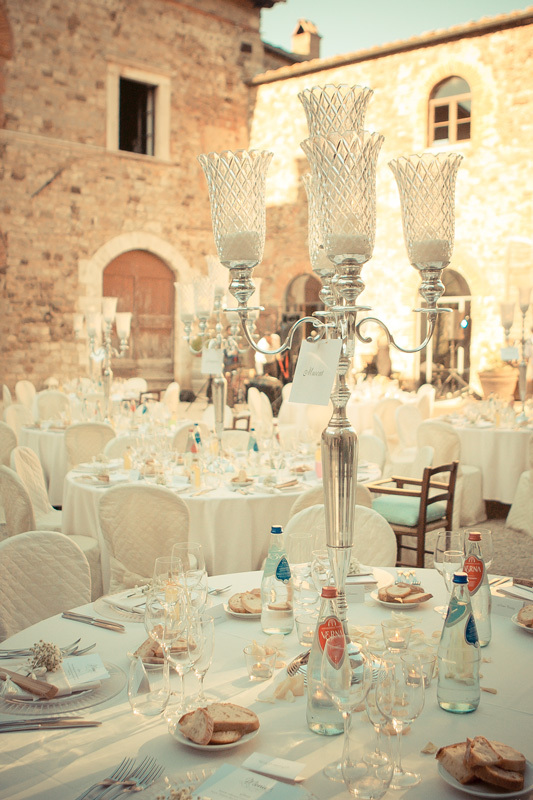 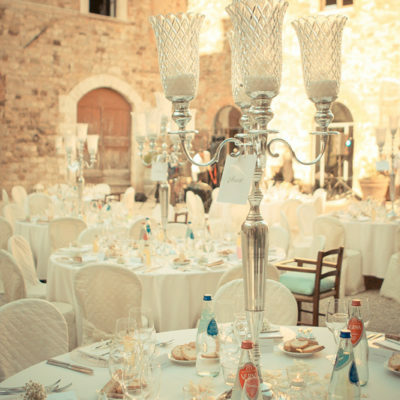 High silver candelabra were at the center of the table in the magnificent courtyard of the XI century Castle. 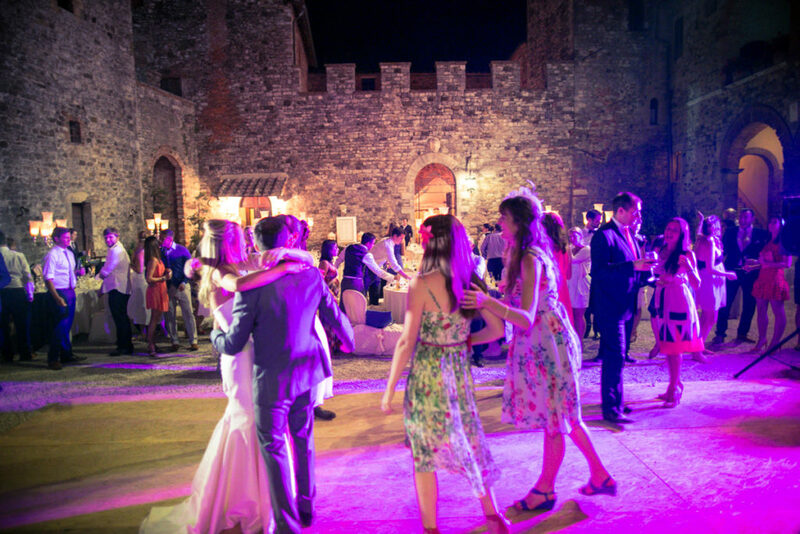 They had a band playing during the party after dinner. 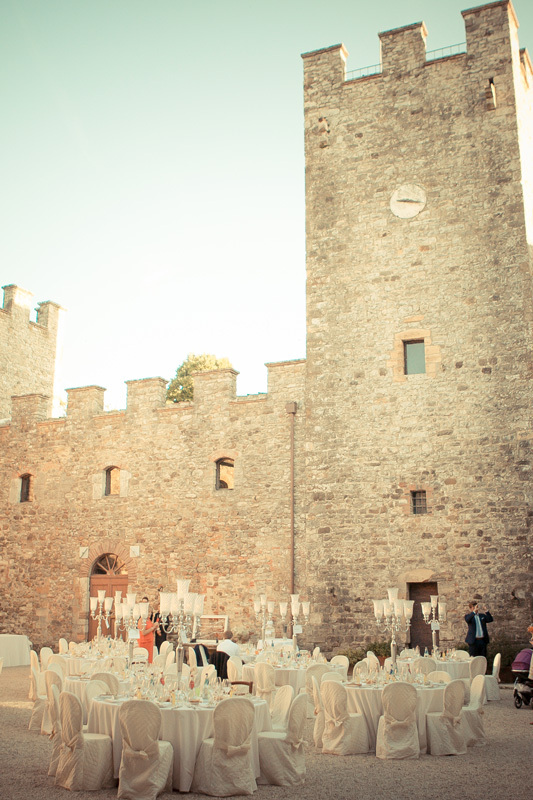 This is an evergreen wedding, simple, elegant unique in a magnificent Castle. 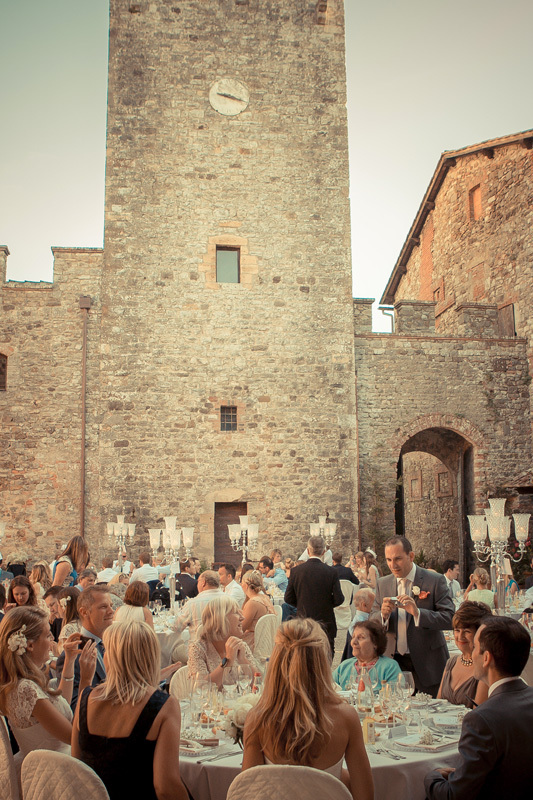 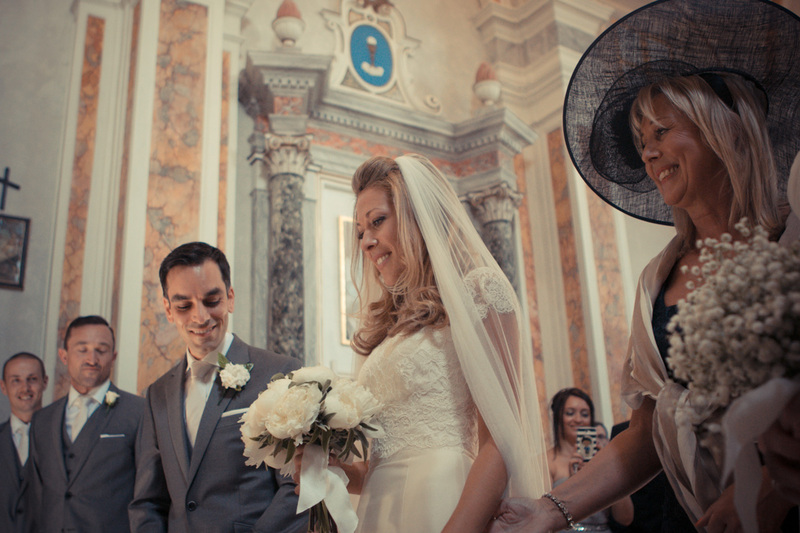 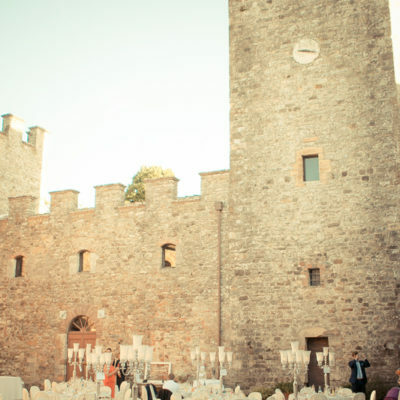 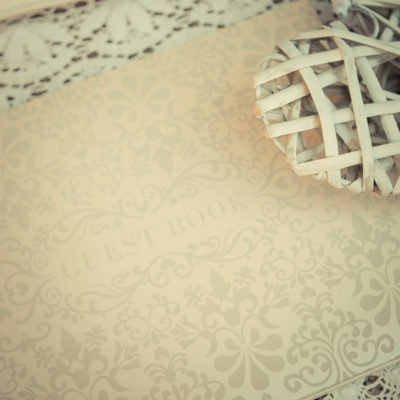 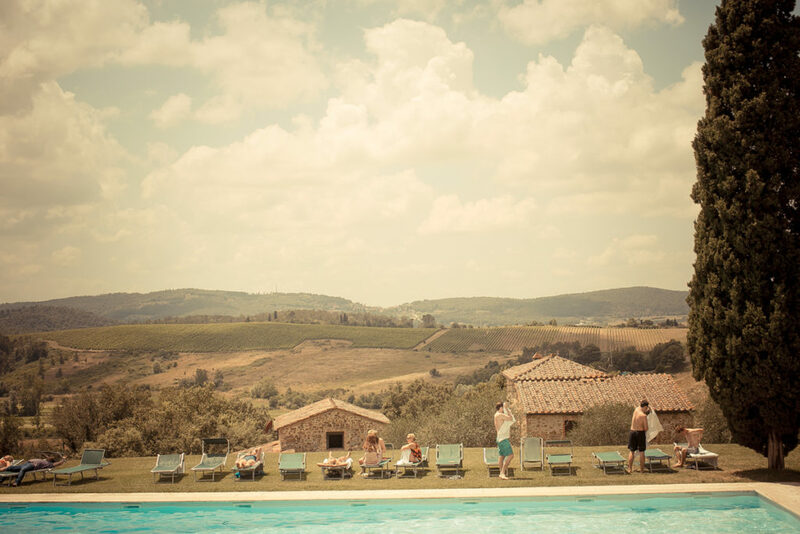 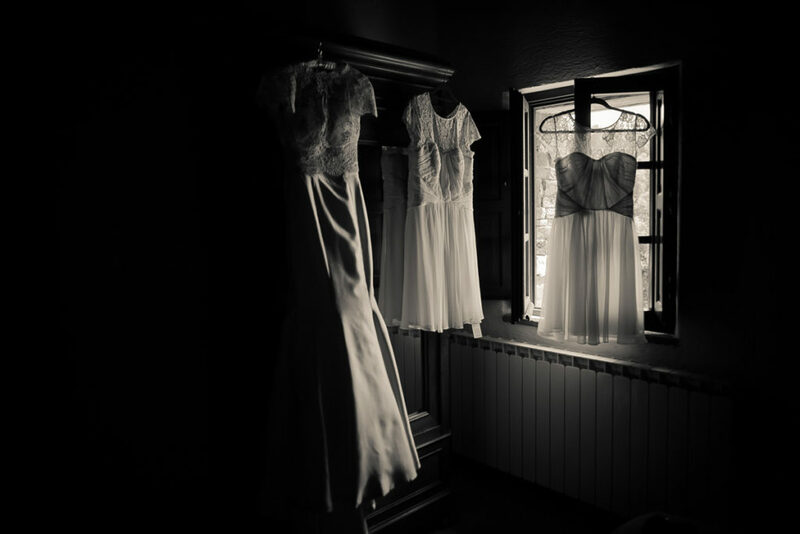 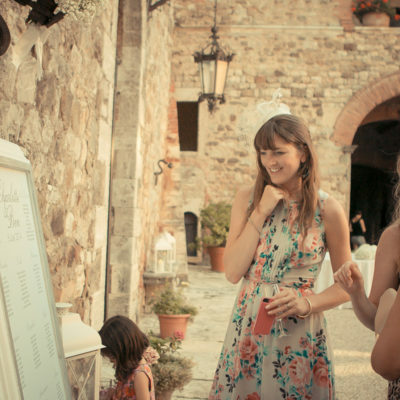 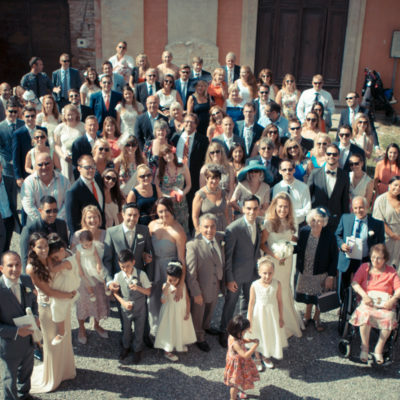 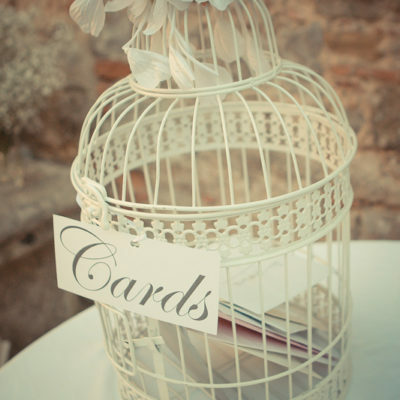 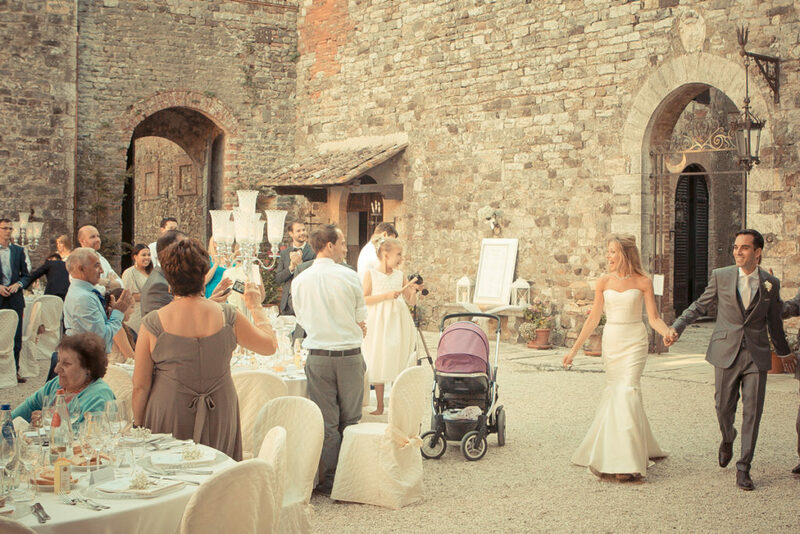 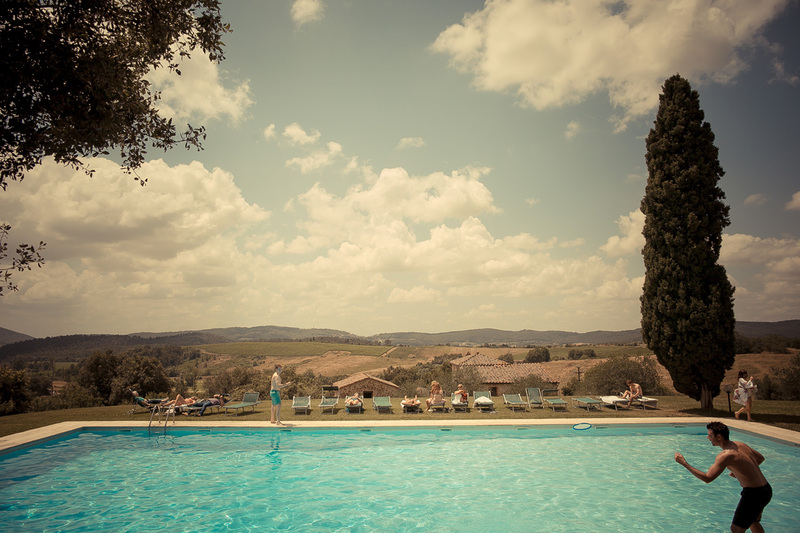 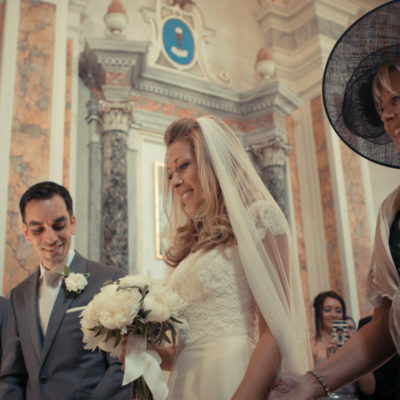 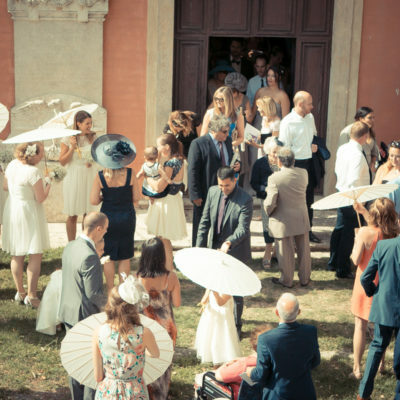 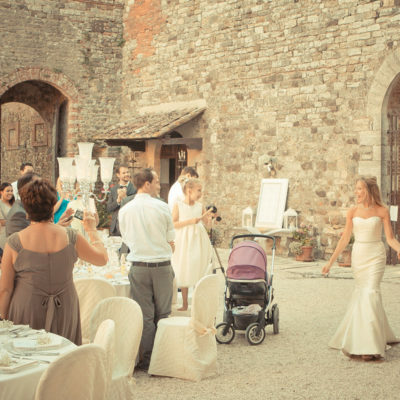 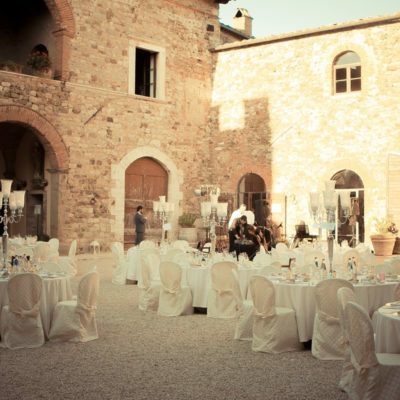 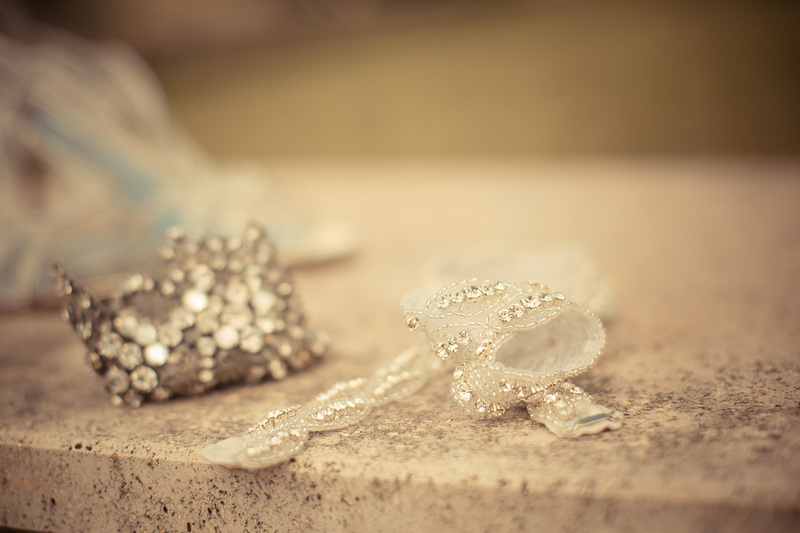 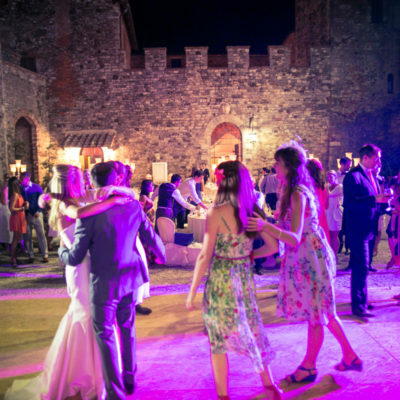 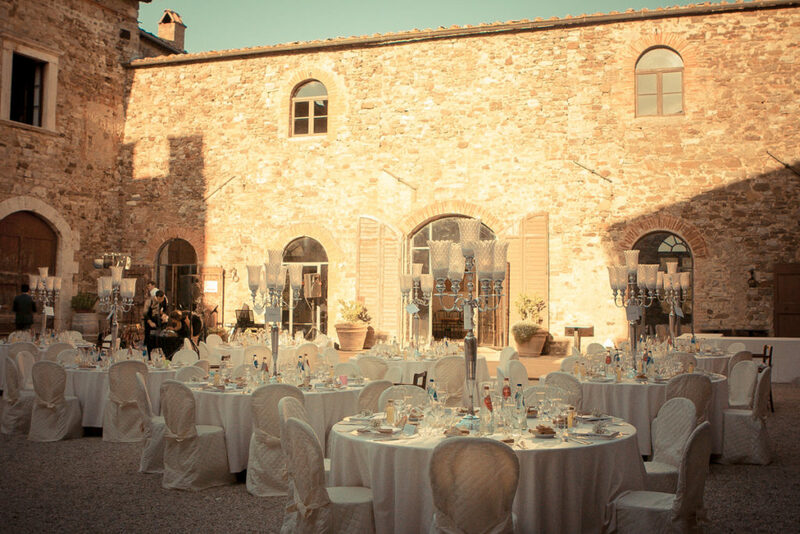 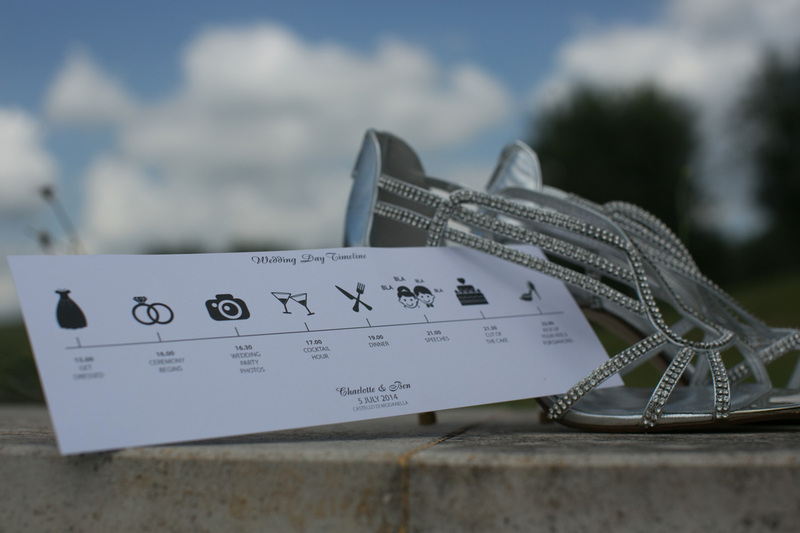 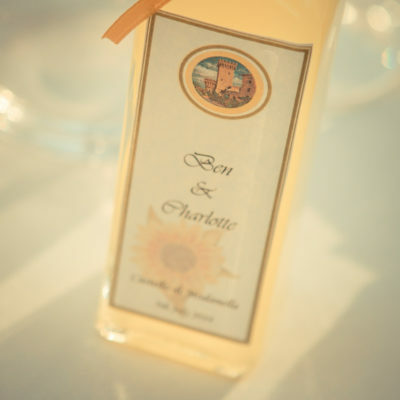 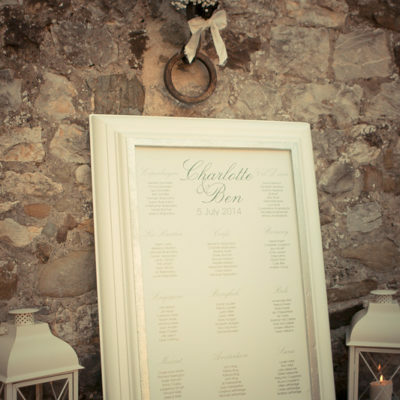 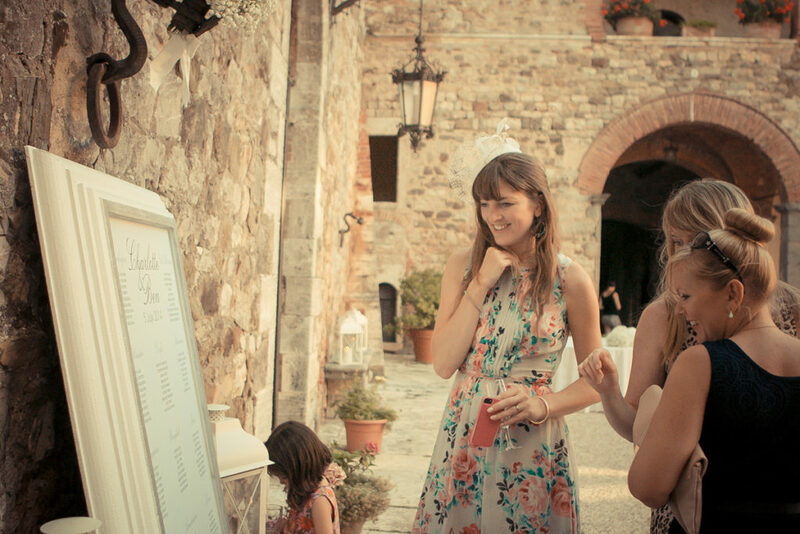 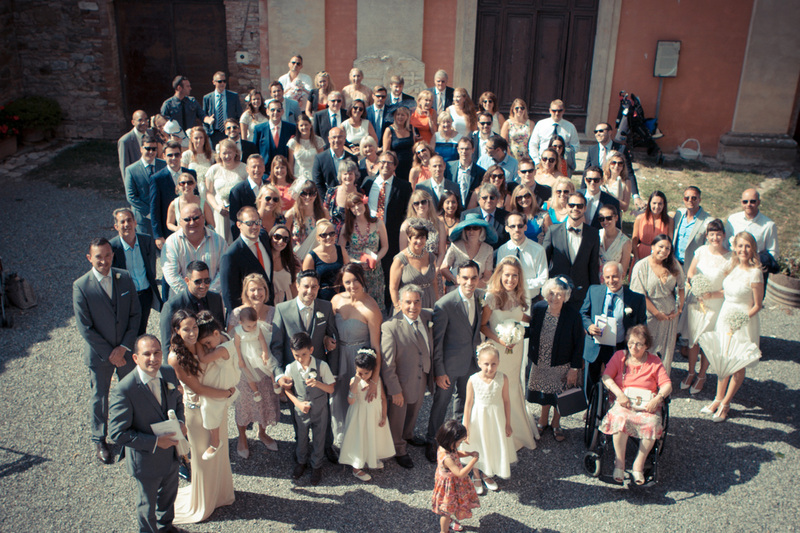 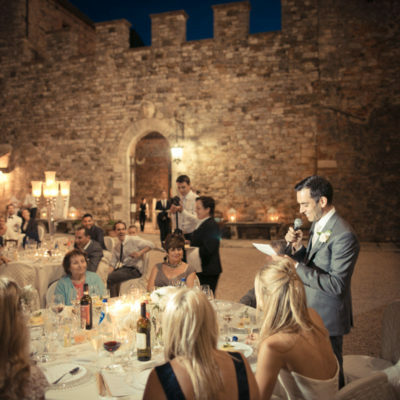 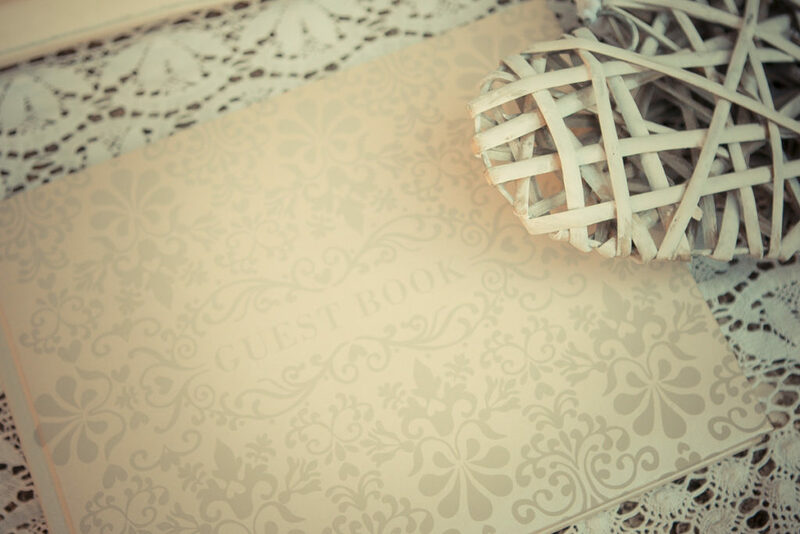 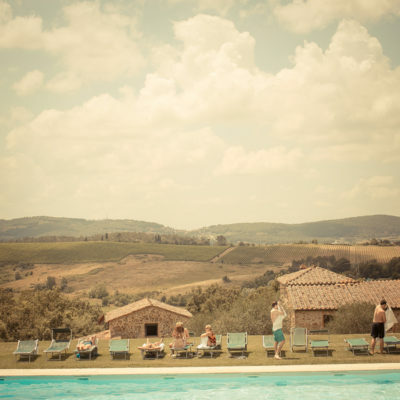 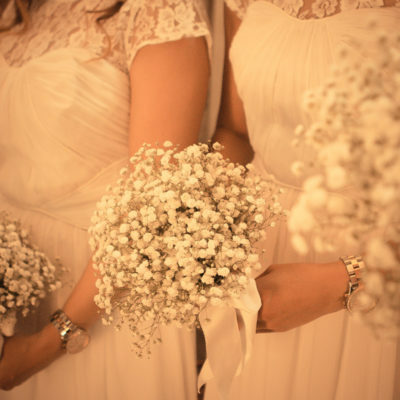 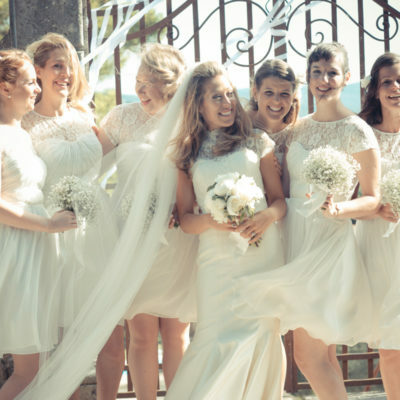 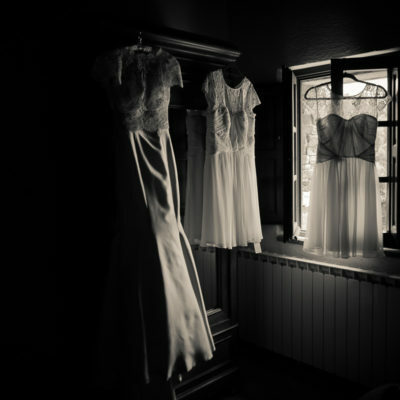 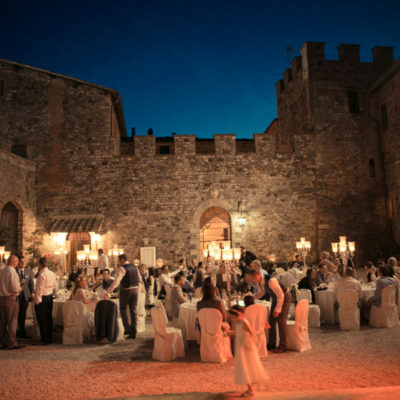 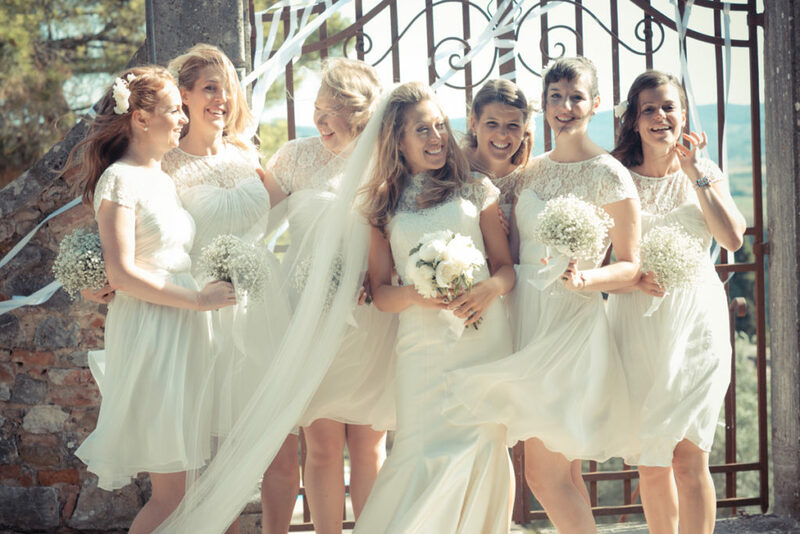 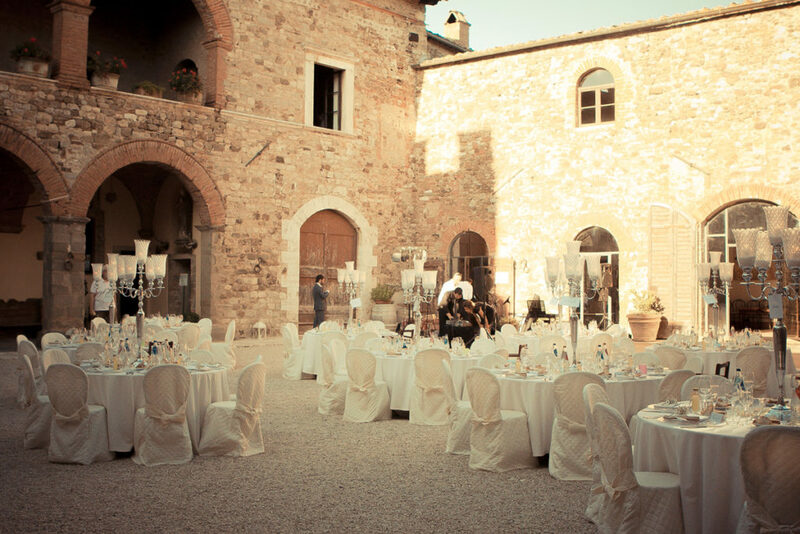 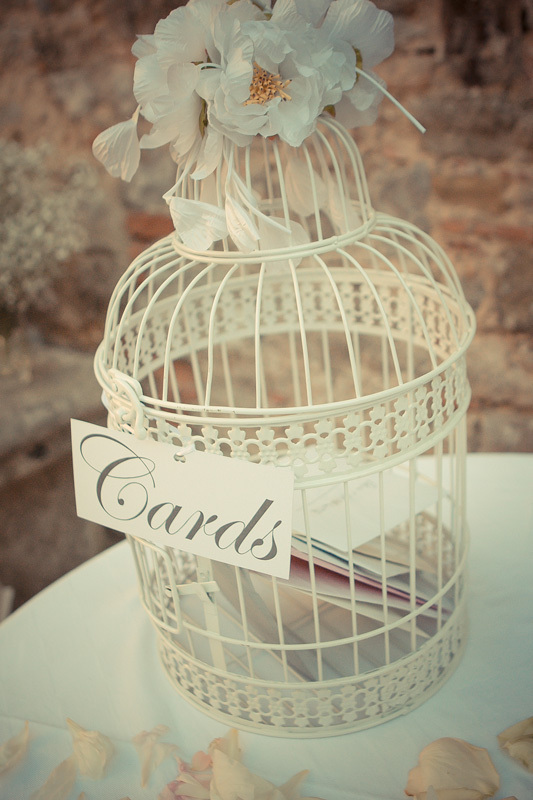 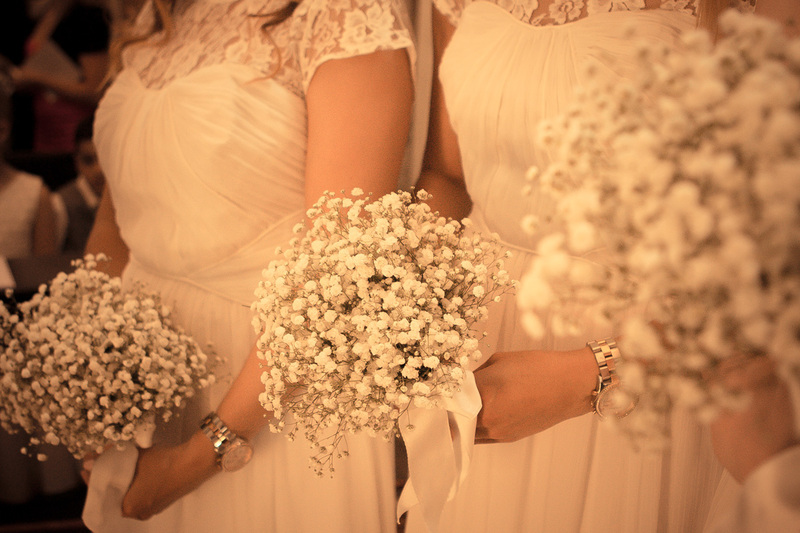 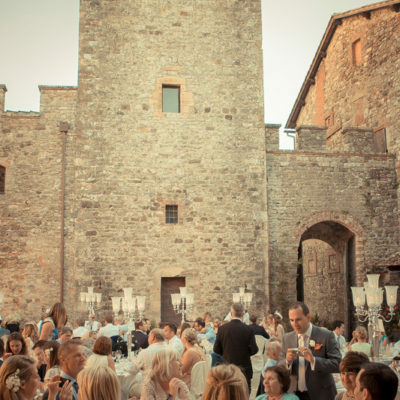 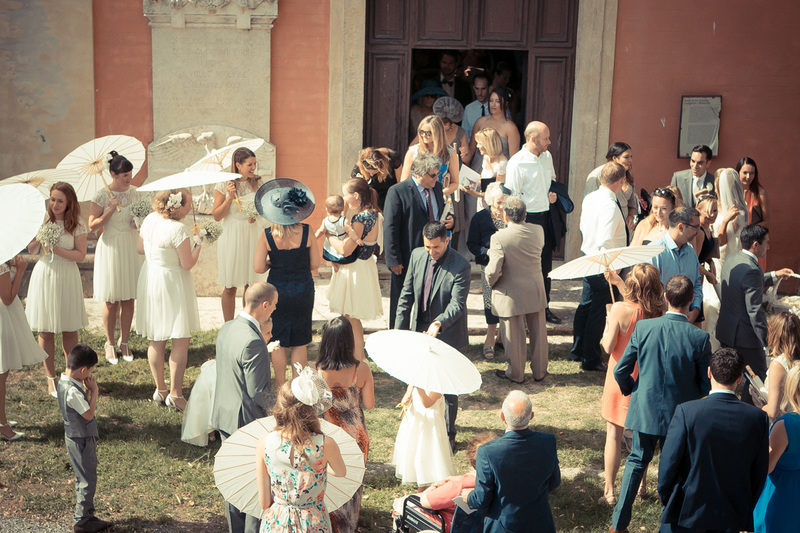 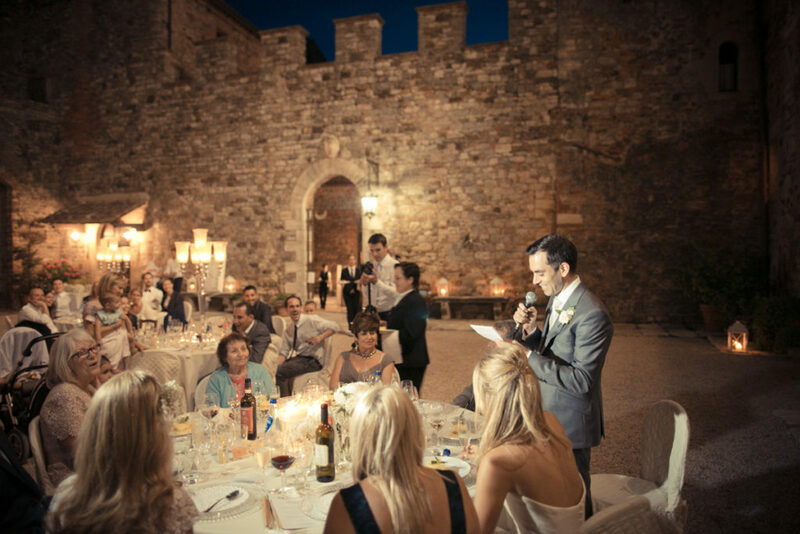 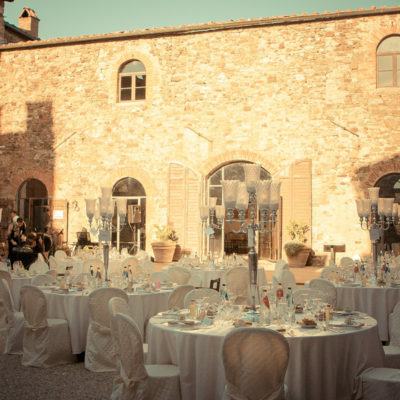 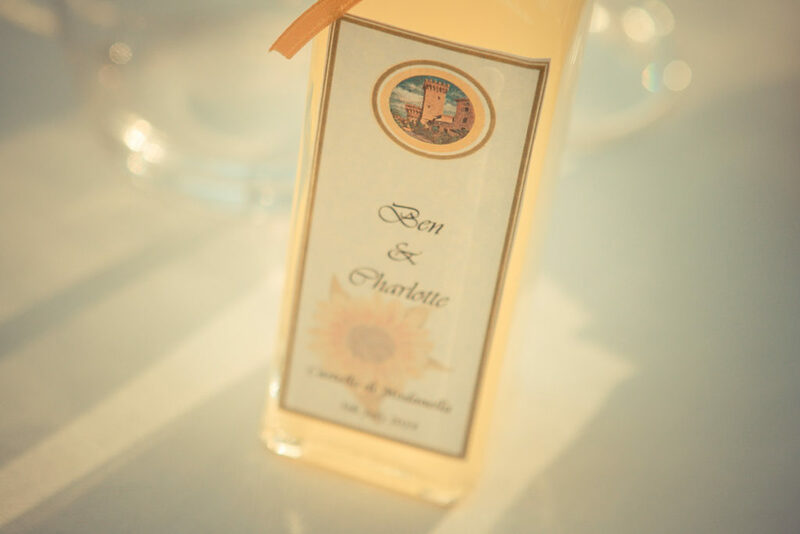 Make your fairytale wedding in a Tuscan castle!